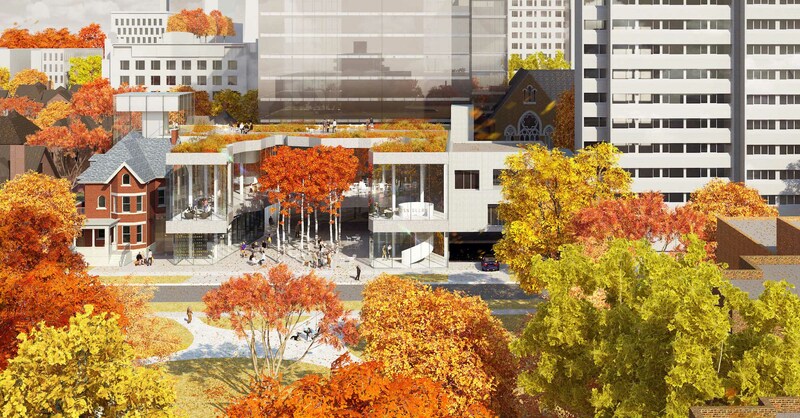 The sixth in a series of information sessions on the development of the new International Estonian Centre featured an up-close look at how a similar project got off the ground in Toronto. Guest speaker Gary Kawaguchi, President of the Japanese Canadian Cultural Centre (JCCC), gave a detailed review of how the JCCC was developed, and some of the challenges they faced in building their centre in Don Mills. Gary has been a director on the board of the Japanese Canadian Cultural Centre (JCCC) since 1993 and currently serves as President (since 2009). He was instrumental in developing a new and vibrant home for the Japanese Canadian Cultural Centre. The JCCC transformed itself with the acquisition (1996) of its new 114,000 square-foot facility on 8.1 acres in Don Mills and sold its original iconic heritage building designed by Raymond Moriyama. Over a period of 16 years, the JCCC invested over $17 million of capital into renovations to create the current cultural centre. The JCCC is now a thriving operation with 15 staff and 1,100 volunteers, cultural activities, classes, school tours and a renowned Japanese restaurant. Many of the challenges that the JCCC dealt with were similar to the ones facing the Estonian community. For example, there was immense pride in the contributions of those Japanese who had developed the original centre and, for some, there was a reluctance to change. Loss of language, inter-marriage and assimilation into Canadian culture were other factors considered that could lead to dilution of the culture. 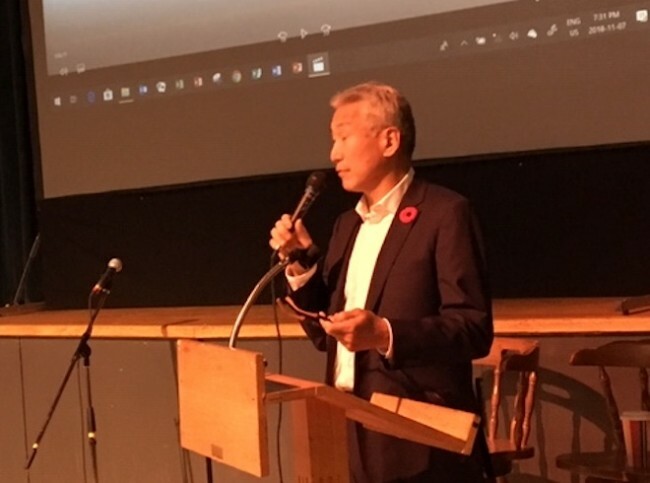 However, the determination to keep and grow the culture amongst the Japanese community in Canada, as well as share the culture with the broader community, resulted in the vision of building this dynamic and successful cultural centre. It is now one of the largest and most vibrant Japanese cultural centres in the world. For more information please visit the website www.jccc.on.ca. 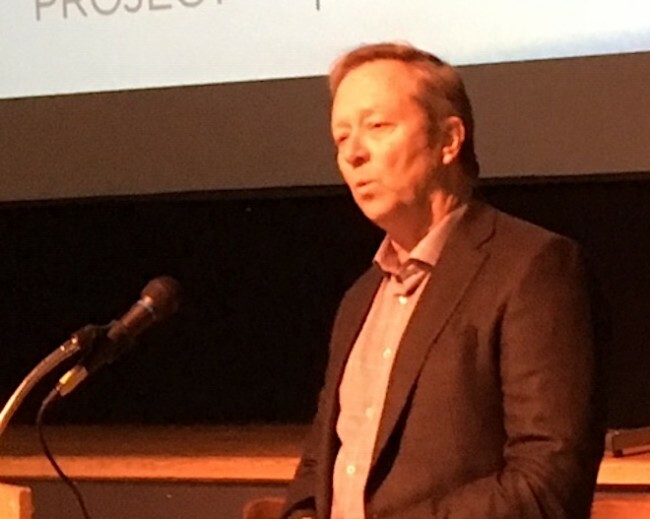 Mihkel Holmberg, a member of both the Steering and Legal Committees for the Estonian Centre project, presented an overview of the significant work that has taken place on the new centre’s legal structure. 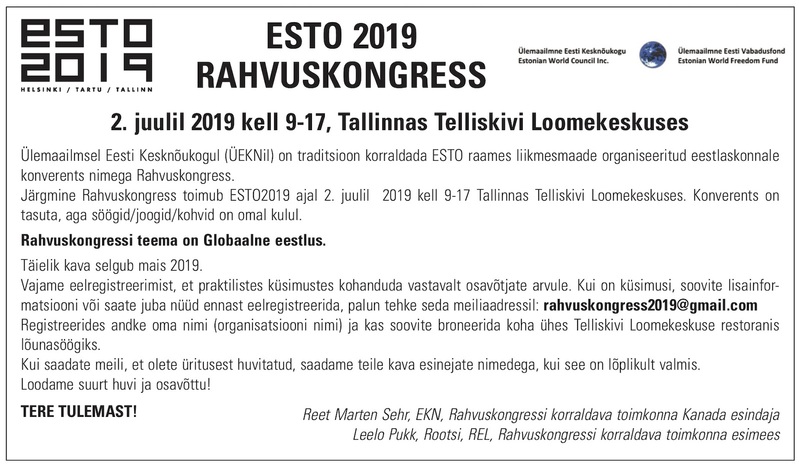 An expert tax and charities lawyer was retained by the Steering Committee to advise on the corporate structure to hold and operate the new Estonian Centre assets with a view to reducing taxes that are triggered on the sale of the Broadview property, and on the development and operation of the new Centre. The corporate plan calls for the donation of the Broadview property to a new charity which will sell the property to the developer, and receive the cash proceeds which will be used to build the new Estonian Centre. Operational efficiencies will be maximized by the charity creating a trust arrangement between the charity and the corporation that will receive moneys from the Charity, and build and operate the new Estonian Centre as a trustee for the benefit of the Charity. To that end, two companies have been incorporated; one is a business corporation that will serve as the trustee of the trust, and the other is a not-for-profit, which will be registered as a charity. Estonian House in Toronto Limited will initially be the sole member of the charity and will thereby appoint its directors. In addition, Estonian House in Toronto Limited will initially be the sole shareholder of the business corporation, thereby appointing its directors. • Funding: The major focus is on securing the project budget of $25 million. Seed funding is in place via loans from the Estonian Foundation of Canada, Tartu College and the Estonian Credit Union. The capital campaign is underway and a public campaign will begin in 2019. • Real estate: The Broadview property is conditionally sold and is slated to close toward the end of 2019. The 9 Madison property is conditionally purchased and will close soon. • Planning; Zoning for both the Broadview and Madison properties is underway as are several city applications. • Design and construction: Design development is progressing intensively and the next round of user group consultations will commence in January 2019. The budget is being refined, and use of Estonian design components investigated. • Business plan: A business plan working committee has been set up. Third party leases are being identified and event planner consultations are continuing. A three-minute film "The New International Estonian Centre: Connecting Estonians at Home and Abroad," directed by Tom and Reet Mae, was premiered at the meeting and enthusiastically received. On hand at the meeting were Kevin Prozes from Carousel Pictures, one of the film's producers, and Tom Mae. To view the film, go to www.estoniancentre.ca. We will continue to keep you informed every step along the way. 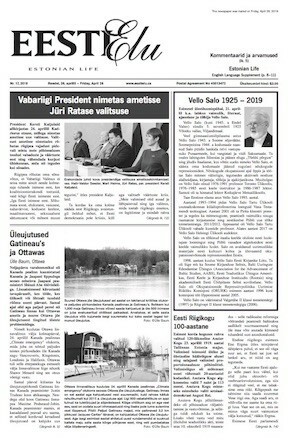 Newsletter: Sign up for our newsletter - coming soon - by going to www.estoniancentre.ca and providing your email address. Follow our Facebook page: Keep up to date through our Facebook page @EestiKeskus for the latest news, events and photos. Rahvajõulupuu Dec 8th: Please come visit the Estonian Centre project at the Welcome Centre (located at the front of the Estonian House building, formerly the eStore).